Looking back at 2014 makes me smile. I wrote my thoughts about the past year over at Fat-bike.com and whats the best thing about fat biking. The community. Just click the pic and read it. 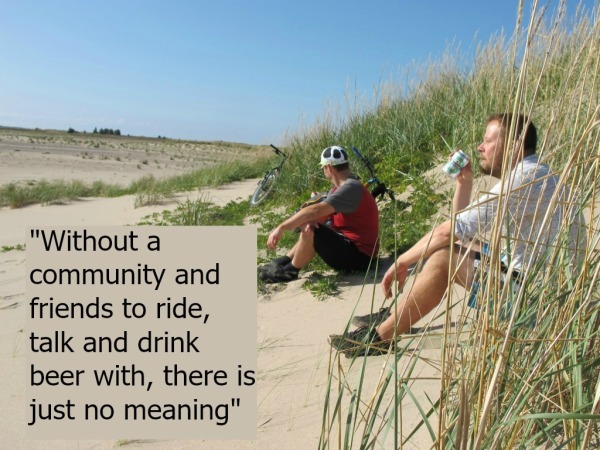 Even though the last couple of months been busy and there´s not been much riding or blogging being done (didn´t even got out on global fat bike day) But i´ll sure get back in the saddle now. Last year i got the most miles in January. Life slows down, the every day pace starts after the stressed out holidays. We got loads of snow and the ice roads are all getting plowed up. We had a set back weather wize, loads of snow and warm tempratures makes snow conditions horrible. Still it will freeze up and then… I’ll go ride again.